Ghanaian-Hungarian Sena is one of the most common singers in Budapest; you can often hear her characteristic freestylish voice in various bands. 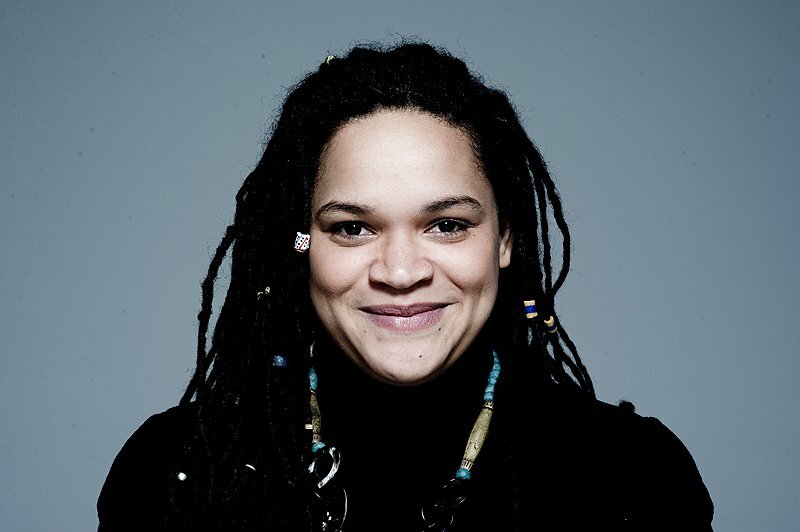 She collaborated with DJ Vadim at BBE, contributed to the urban blues record of Wax On Records’ Gelka, and appeared on soul hip-hop guru Marcel ‘Gamber’s Deligh’ album. Last but not least she’s the vocalist in her pop band Irie Maffia. It’s hard to find a festival in the country they don’t sell out, and their reggae, dancehall and funk songs have been in constant rotation on the radio for years. She is now finishing her highly anticipated second solo album, as well as a remix compilation set to be released on 1st of November. You are such a prolific artist that it’s hard to follow your collaborations, but what is your latest project? Currently I’m working on my solo project. But it all started out with The Forward Ever band we co-founded together with Péter Sabák. We wrote some songs, then Márton Él? joined us later and got involved in to the songwriting. Originally we aimed to have an album, but in the meanwhile we just built up the live show material as well. This is why we have a focus on live shows now. And finally it was the next step of this to my solo project, and all the guys from Irie Maffia are playing music for me. There’s some news about Irie Maffia as well? The remix EP for Irie Maffia’s ‘The FOKN Dunaquest in Budapest’ has been just recently released with contributions from international and Hungarian artists like Dj Vadim, Slap In The Bass, Nobody Moves, Frikstailers, Hijo De la Cumbia, Flore, Big Dope P, Superstereo, Jumo Daddy, URH. How is this concept related to the Irie Maffia sound? Not at all, there’s no relation. The originals are not ready yet, it’s just blues, soul and R&B, rap and electronic sounds will be also added. I’d like to change it a bit because I want the music to be more tricky. The whole thing is very slow and sophisticated, because I’m in the mood now. I don’t know exactly, I always really liked this sound. I have a more pop-rock alterego in Irie Maffia, but in solo I can bring my femininity more to the forefront. Both worlds are close to me. You wrote all the songs? Some of them. But there are so silly work titles that there is no point about speaking of examples. But I wrote 3 pieces. How is your new solo material related to the ‘First One’ back in 2003? They’re completely different. There is one only similarity that the number of contributors are also around 22, it sounds funny because without the background crew it would be nothing. Anyway the second album doesn’t has anything to do with my second one neither in style and the musician crew is different as well. I like teamwork, because the more viewpoints, the more energy, the better result. Music is a social thing anyway. And if we want to create music full with healing energy, we need people, good people. How can you manage your solo project and Irie Maffia at the same time? It makes it very easy that actually we are almost the same team, because it’s easy to schedule. The success of Irie Maffia is helping you to make your album ready sooner? More help is that we know eachother very well. Listen, if nobody tells the public that it’s not Irie Maffia playing I guess they don’t recognize them, because my solo show is completely different. And I don’t want them to notice that. Anyway that would be good if the two productions have the same size of fan groups. On which label do you plan to release your new solo album? On one hand I have a French connection helping me out in organizing concerts. On the other hand we are thinking on it. We found out playing live because we didn’t wanted to stagnate during the label-search, but to vitalize the creative process. For me the concerts are the most important, that’s for sure. You have a diversified portfolio on various labels, what are your expectations regarding your next future label? The most important for is the good distribution, to spread my music to a lot of places. To date we have 5-6 invitations from abroad, but I’d like to have more. It’s good to hear that you’re not afraid of having a gig abroad. In Hungary there some people yet having concerns about it. Well, lucky me, I write and perform my songs in English, so my music targets a quite big audience. And of course everyone out there is curious what’s happening anywhere else. Listen and download Irie Maffia’s ‘The FOKN Dunaquest in Budapest’ remix album!